Exciting designs combined with practicality are what made these customised lamps captivating. Our team found this range at trade shows and factories around China. In an industry where some promotional products look almost the same, it can be hard to differentiate one brand from the other. Exceptional designs are key to capturing the interest of your customers. 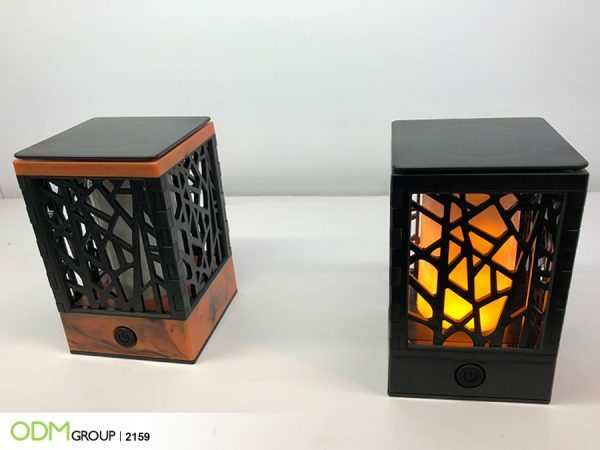 In this blog, we will discuss why you should work with a reputable promotional products company in China when manufacturing your custom lamps. What Set these Customised Lamps Apart from Other Marketing Products? Impressive Designs: The attention to detail and the quality of workmanship are very impressive. Vintage and cozy, the style is similar to the promotional speaker with flame effect, which we featured here before. The only difference is that the below example has bluetooth speaker functionality. High Utility Means Customer Engagement: We love the fact that it’s battery operated and portable, meaning, customers can carry them around the house. It is also perfect for outdoor use. Because it’s something customers will use often, printing your logo or brand name will give your brand unlimited exposure. Product for Retail: Businesses should also consider using these lamps as retail products. They can use it as part of their customer loyalty program or a special limited offer from their brand. Designs: If you have any design in mind, you can ask our Mindsparkz team to transform your 2D sketches to 3D. Our product designers work closely with factories to ensure that samples are done according to plan. In case you want to work with our team for a short term project, you can use our design retainer program. Check out our page: http://www.mindsparkz.com/retainer-program/ for more information. 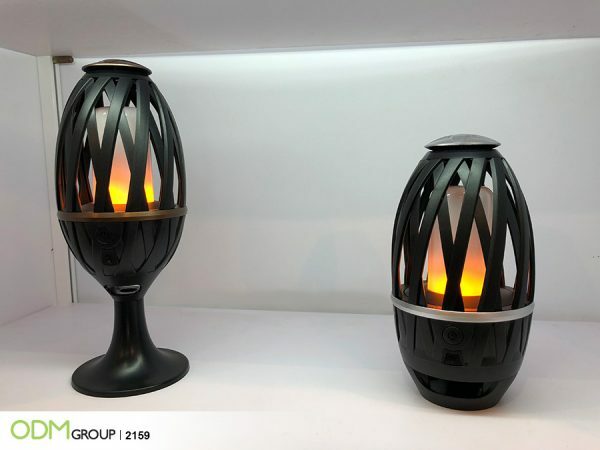 ODM is based in China and our team can help you from designing, to manufacturing, as well as shipping of customised lamps and other promotional products. So, if you like this product, send us a request and reference code 2159. Feel free to get in touch with our helpful staff. To give you more customised lamp design ideas, check out the blogs below! Great designs that target a wide range of audience. This works great with chocolate brands. Want to see more custom bluetooth speakers? Check out this blog below.